Leah's Movie Lowdown - 2017 Rhode Island Comic Con is Here and Ready to Rock! Leah's Movie Lowdown - 2017 Rhode Island Comic Con is Here and Ready to Rock! 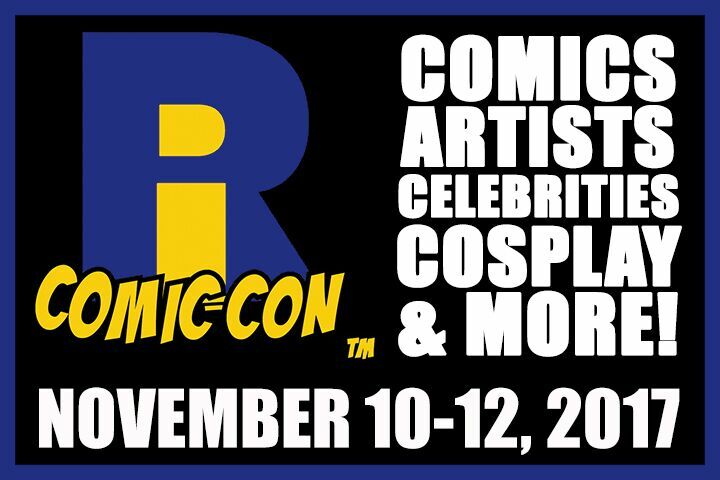 While at its heart Rhode Island Comic Con is about comic books and the superheroes in them, there’s more to the show than just that. 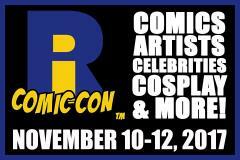 For starters, take a look at the guest list, found here: http://www.ricomiccon.com/guests. As you can see, there are over 50 big name celebrities from all sorts of TV shows and movies scheduled to be there. Simply knowing the casts of Star Trek: The Next Generation and Super Troopers will be there is enough to make me want to go, never mind the rest of that list. Then there are the panels the celebrities will be part of. From the 30th Reunion of The Princess Bride, to the Beverly Hills Cop Reunion, to Weird Al: The Man Behind the Accordion, there’s something for everyone happening at all times throughout each convention day. I’m sure I won’t be able to catch them all, as some of them are scheduled for the same times, but I will do my best to attend as many as possible so I may report back to you afterwards. And what would an event like this be without at least a couple of after parties? Of course, they’ve got that covered too. Friday night will feature the Super Troopers After Party, hosted by Paul Soter and Erik Stolhanske of Broken Lizard. I’ve seen some behind the scenes videos of these guys, this one should be a blast. Saturday’s after party is the Revenge of the Nerds After Party. There aren’t many details listed around this one, so I’m not sure what to expect exactly, but I’m sure it will be a blast. It came as a surprise to me to find that there will be video game tournaments and demonstrations hosted through the entirety of RICC weekend. Games such as Mario Kart, Dungeons and Dragons, Smash Bros, Street Fighter, Mortal Kombat, Magic, Pokémon and more will be featured. I will not be partaking in any of the tournaments, because although I am a gamer, I’m certainly not good enough for this kind of thing. I will peak in from time to time to check it out though. As if there weren’t enough going on surrounding RICC, there will also be a film festival. You read that right: a film festival going on in tandem with RICC. The 2017 Geekfest Film Festival will be held at the Omni Providence Hotel Convention Center and will feature all geek related films, panels and awards. I’m not sure what to expect with this either, especially given that there’s a warning at the bottom of the webpage: Geekfest does not censor or edit any films and some films may not be suitable for all audiences. I’m sure this warning has more to do with the fact that the entire event will be crawling with children, but it still gives me pause that they had to add the warning at all. All in all I have a feeling this is going to be a ridiculously exciting, and very exhausting weekend. It’s my hope that I’ll be able to bring you tons of great pictures, videos and interviews both during and after the event. Keep an eye on this page for all of the latest.